Visit us and enjoy our autumn scenery! Welcome Aboard at the Westport Station Motel - Westport's reliable and comfortable accommodation. 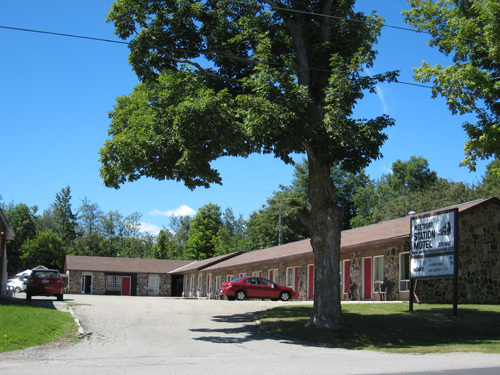 The Motel is on the site of the historic Brockville and Westport Railway whose last train left Westport in 1952. We are just a five minute walk to the picturesque shops and restaurants of Westport Village and the waterfront harbour on the Upper Rideau Lake. The Lions Club Beach and the Foley Mountain Conservation Area and beach are just minutes away. 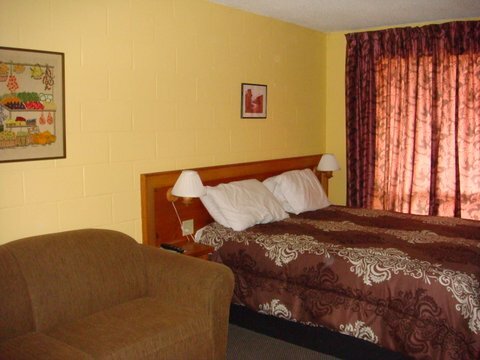 The Westport Station Motel has 16 modern, welcoming rooms with the convenience of ensuite bathrooms, A/C, cable TV, fridge, microwave and high speed wireless Internet. We are on a quiet county road in the Village. 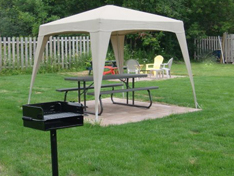 Guests are invited to enjoy our park setting and use our picnic tables, fire pit and charcoal grill. There is ample parking for boats and trailers.